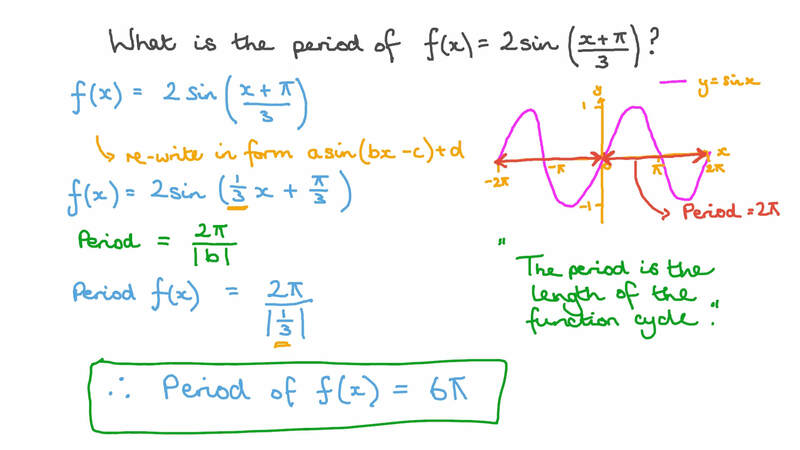 In this lesson, we will learn how to find the amplitude and the period of sine, cosine, and tangent functions. 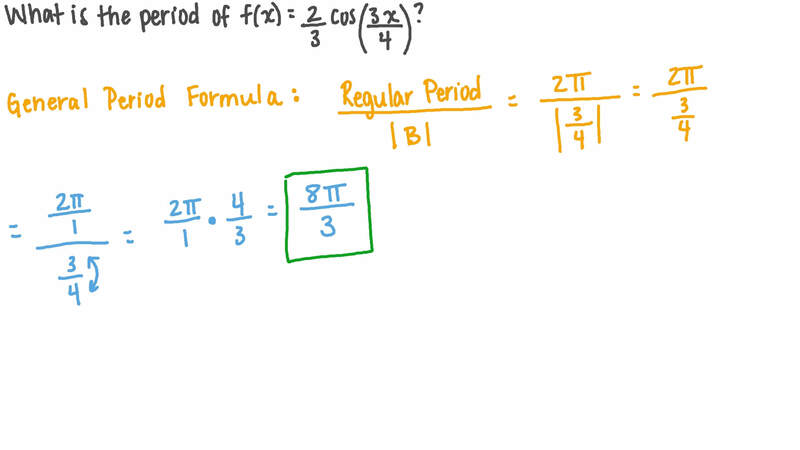 Determine the amplitude and the period of the shown function. What is the period of 𝑓 ( 𝑥 ) = 2  𝑥 + 𝜋 3  s i n ? What is the period of 𝑓 ( 𝑥 ) = 2 𝑥 c o s ? What is the period of 𝑓 ( 𝑥 ) = 2 3 3 𝑥 4 c o s ? 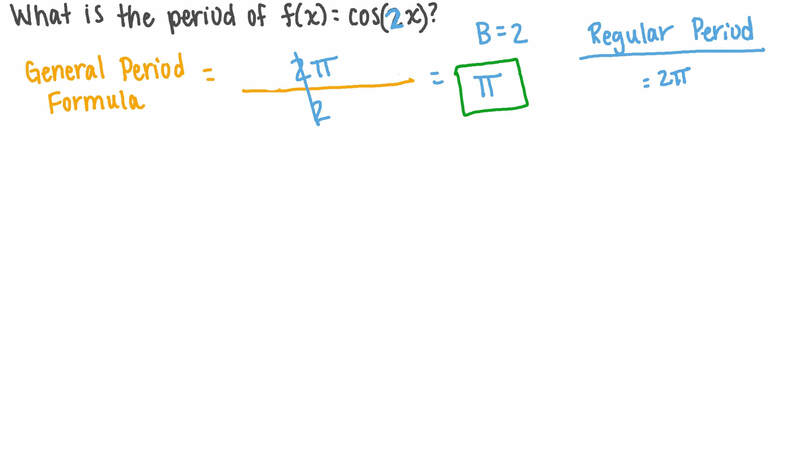 Find the period of the function 𝑓 ( 𝜃 ) = 1 1 4 𝜃 s i n .
What is the period of the function 𝑓 ( 𝑥 ) = 𝑎 ( 𝑏 𝑥 − 𝑐 ) + 𝑘 c o s ? What is the period of 𝑓 ( 𝑥 ) = 3  2 𝑥 − 𝜋 5  t a n ?